From downtown Budapest: Leave the town along the motorway M3 (Kacsóh Pongrác út, starting near Városliget). From Budapest Airport: take road 4 towards Szolnok, Debrecen, after about 3 km turn to motorway M0 towards Nyíregyháza, after about 13 km take motorway M31 towards Gödöllő. After 12 km, close to Gödöllő take motorway M3 towards Miskolc, Debrecen, Nyíregyháza. Once at M3, take exit 114 towards Füzesabony, Eger. Continue along road 33, passing by Füzesabony. After about 5 km, at the roundabout take the 3rd exit, road 3, towards Budapest. 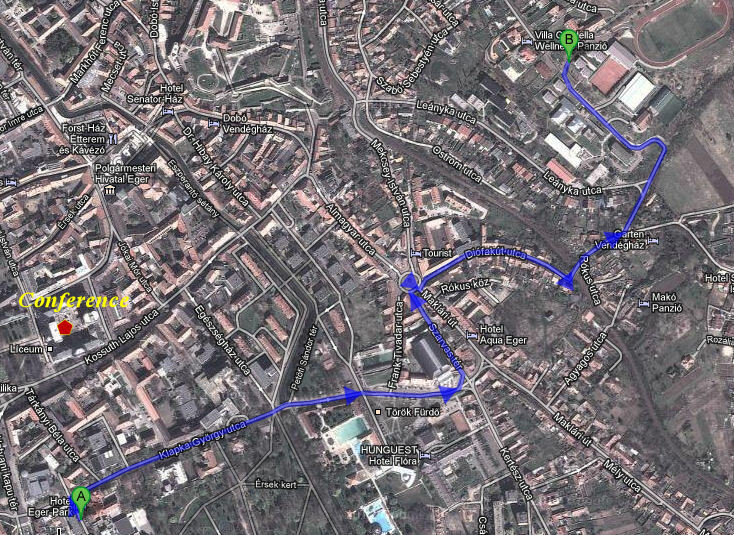 After about 6 km take road 25 to Eger. For more detailed information, please consult www.viamichelin.com. There are frequent trains from Budapest Keleti station (metro: Keleti Pályaudvar, line 2) to Eger. Direct trains leave every odd hour, from 7.00 to 19.00, journey takes about 2:10 hours. Intercity trains leave 30 minutes past every hour, from 6.30 to 19.30. Taking such a train you have to change in Füzesabony. This journey takes 1:55 hours. For Intercity trains supplemental seat reservation besides the ticket is compulsory. 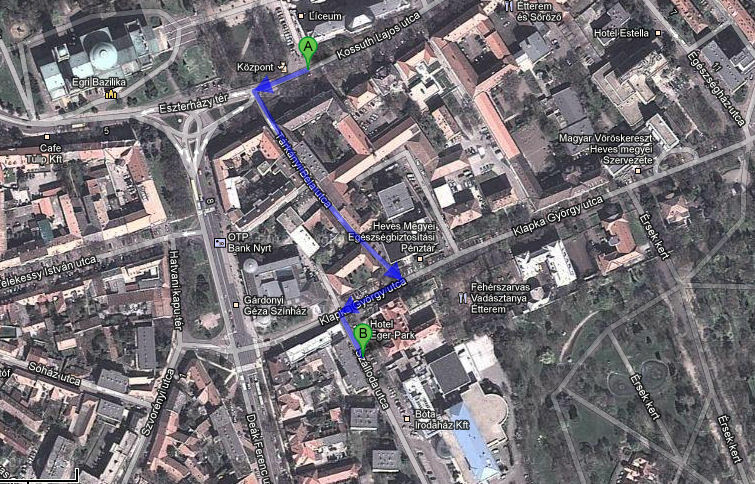 There are 2-3 buses per hour from Budapest Stadionok bus station (metro: Stadionok, line 2) to Eger. Journey takes approximately 2 hours. For timetable, please consult. The simplest way of getting to downtown Budapest from the airport is either going by taxi (you can take cabs of Főtaxi, the official taxi company serving the airport in front of the arrival hall), or by the Airport Minibus shuttle service (registration can be made at the arrival hall). Both services operate on a fixed fare basis, a taxi ride costs approximately 5000 HUF (18-20 euro), shuttle ride costs roughly the half of it. By public transport, you can take bus 200E, which brings you to metro line 3.